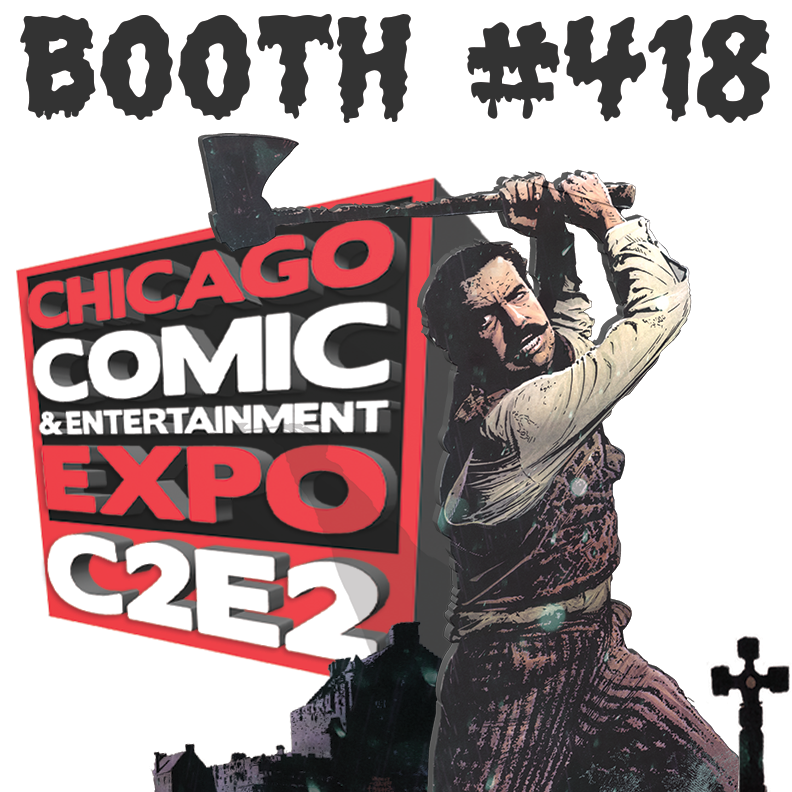 Storm King Comics will be at the upcoming Chicago Comic and Entertainment Expo (C2E2) to promote this summer’s John Carpenter’s Tales of Science Fiction and this fall’s Tales for a HalloweeNight, with some pretty cool swag announced. Read on for the official press release. Pop culture fans are giddy with excitement for the Midwest’s largest pop culture comicon C2E2 which begins April 21st in Chicago. Storm King Comics will be exhibiting and bringing con exclusives, giveaways, talent, and more! Con attendees will get a FREE SIGNED poster from the upcoming series John Carpenter’s Tales of Science Fiction at booth #418 only if they say the secret password. Attendees can get the code word on Twitter at https://twitter.com/JCsAsylum or by downloading the C2E2 App and walking the convention floor. Writer/editor producer Sandy King Carpenter (They Live, Vampires) and writer James Ninness (Dust, John Carpenter’s Tales for a HalloweeNight) will be on hand for signings. Both creators are part of the new title John Carpenter’s Tales of Science Fiction:Vault that hits stores this July and will be revealing more about the book in a livestream interview at the convention’s Twitch stage Saturday April 22nd at noon CST. Their full line of comics and graphic novels will be available as well as exclusive C2E2 Comic Con 2017 Storm King Comics buttons. Each $1 button purchase gets you entered into a MYSTERY BOX raffle. 4 buttons to choose from and each MYSTERY BOX includes over $50 of goods that may have been signed by creators including a few lucky winners will walk away with products signed by John Carpenter himself. Buying a button also enters you into the grand prize drawing for a flat screen TV. Grand prize drawing in Sunday and winner MUST be present at the time of drawing. Sandy King Carpenter will also be participating in a panel entitled Books As Flint: Using Graphic Novels to Spark Political Activism Saturday at the show at 1:30 Room S405B. Sandy King Carpenter is an artist, editor, writer, film producer and PRESIDENT OF STORM KING PRODUCTIONS.With a background in art, photography and animation, Sandy King’s filmmaking career has included working with John Cassavetes, Francis Ford Coppola, Michael Mann, Walter Hill, John Hughs, and John Carpenter. Unable to make it to C2E2? You can check out the live stream interview at http://www.c2e2.com/Events/C2E2-Live-Streaming. Sandy King’s next appearance will be May 13 from 12:30-1:30 at Ontario Comic Con where she is part of a panel for John Carpenter’s “The Thing” 35th Anniversary Art Book Look. All books are available online at stormkingproductionsstore.com for the finest in Storm King productions products or at your local comic shop. Storm King Productions is headed up by writer producer powerhouse Sandy King Carpenter. Storm King focuses on artistic storytelling in all forms. Their flagship comic book title John Carpenter’s Asylum has become a global fan favorite. Award winning comic line Storm King Comics is a division of Storm King Productions.